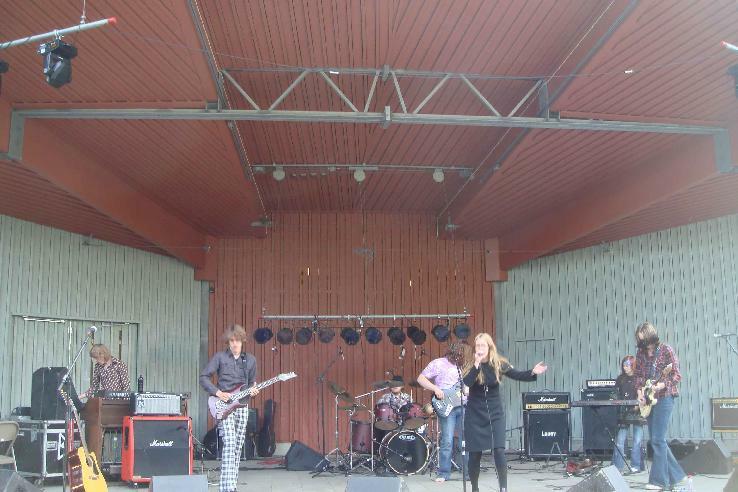 Wow... what an amazing event this was in a beautiful outdoor ampitheatre in a nice park in Uppsala, Sweden. 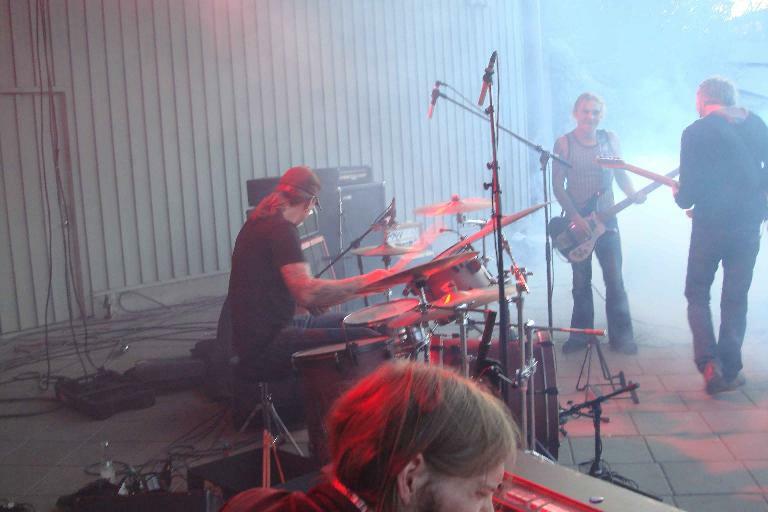 This was the second ever Space Rock Festival in Sweden. The first was in 1998 in Jönköping, Sweden. I was there with Carl Anderson and this featured, Dark Sun (Finland), Pseudo Sun, Darxtar, The SPacious MInd, The Moor, Nik Turner and MAN as well as some smaller acts. Anyway, the weather was a little overcast during the day but the skies became totally clear in the evening. Seven great and diverse bands played. Only about 250 paid people I am guessing which is a real pity but people came from all over Sweden and some from Finland as well. 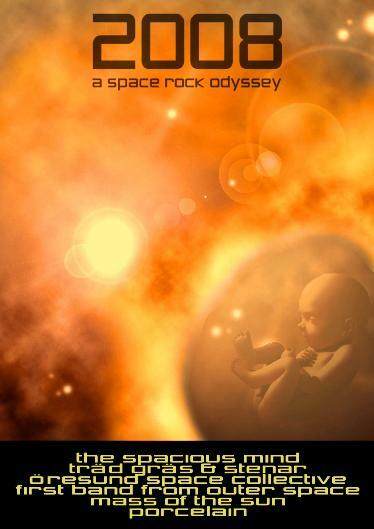 The true dedicated Space Rock fans of this small but amazing music genre. 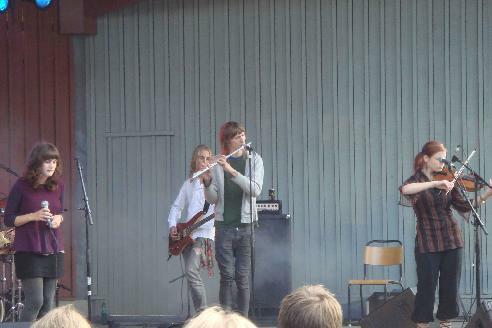 Anyway, the Finnish band Porcelain started things off at like 14:05 and played for like 45 minutes. They were really excellent. Young kids playing very progressive rock with a spacey edge and an excellent female singer. Cool band. 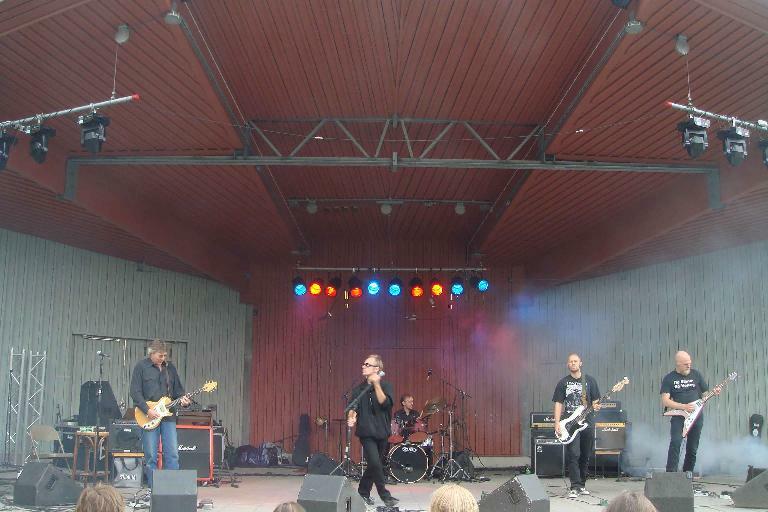 Rävjunk, an old Swedish band from the late 70's, was next and they were a strange combination of punk rock songs (not very interesting ones) and great spacey instrumental stuff with great guitar. Their opening song was awesome and a long spacey jam and then some punk stuff with an intense singer with quite a negative attitude projected. I really liked their instrumental stuff. They ended their set with a poorly sung version of Hawkwinds Master of the Universe! The band played it well though. Next up was quite a long break, like 50 minutes to set up the organizers band, Mass of the Sun. They are also a very young band playing really cool and beautiful music with violin and flute and female vocals.. They only played for like 25 minutes sadly. The first number was a very spacey Pink Floyd inspired piece followed by a very beautiful piece of music. Only 2 songs. Great. They had a lot of friends in the audience and also helping with the event, which was great. 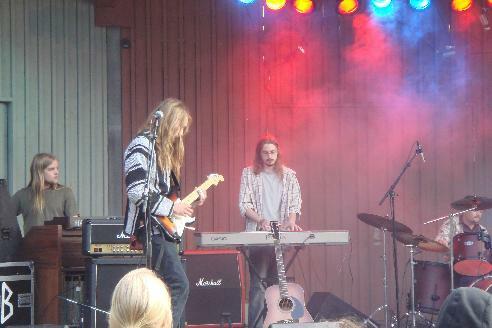 The first song was kinda an improvisation of Rymdkupa, with a mixture of some tracks on their upcoming album. The second track was Skogen. Next up was First Band from Outer Space from Göteborg, Sweden. I played with them on their full set and they played two songs that I had never heard before (they were suppose to send me the CD before but spaced it out!). Anyway, this was the first set that really got the crowd going and people were dancing up on the steps leading to the stage and having a great time with this high energy space rock. We opened with a space intro and then into Demons and Haze. This was followed by Left Turn at the Mexican BBQ. The set ended with an old song, Sunrise, into a long jam lasting 30 minutes! What fun. Now the people were primed. Next up was the Øresund SPace Collective (my band) and we rushed as fast as we could to get set up as things were running 2 hours behind schedule now so we would not get to play 90 minutes as planned. Cut off again like 2 weeks ago in Göteborg. Anyway, we were really psyched and it seemed that so was our audience. We only played 3 jams in 75 minutes but the crowd just loved us and they were nuts for us. I was pretty blown away by the response. I guess the alcohol was taking effect. We were also really happy with the performance. You can hear the ØSC concert at the following link! Next up was the old Swedish band from the late 60's Trad Gras och Stenar (Tree, Grass and Stones). I had seen them earlier this year with Acid Mothers Temple with the original guitar player but he has retired now as he was 77 and quite old. 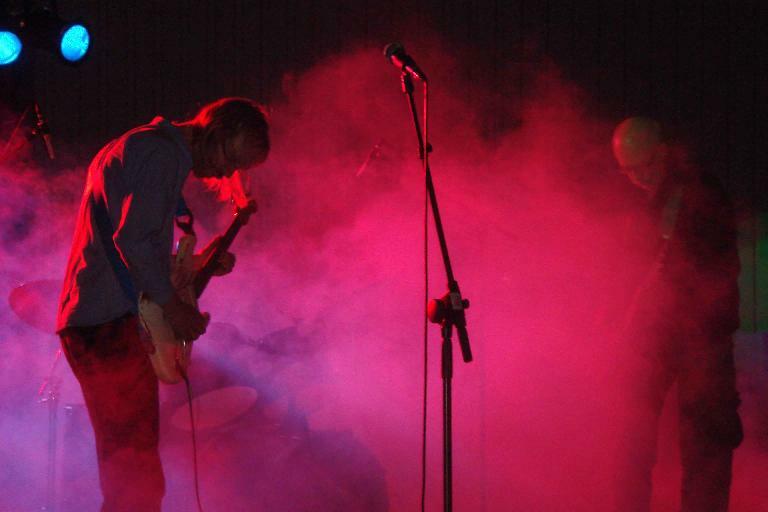 The new guitar player is the great player from the Swedish band Dungen! These guys played mostly instrumental music but very stoned and very cool. It is hard to describe but damn they were great. Finally, the last band of the night, the amazing Spacious Mind, who rarely play gigs, were up. Well, actually, all the bands at this concert rarely play gigs (10 or less a year). Anyway, they tried to hurry as the music had to stop at midnight. I think they started at like 23:05. I am not sure why, but the sound for them was just not that good. The drums had tended to be a bit loud for most bands but here they were super loud. Anyway, if you were up in the front where we were you could hear the guitars from the stage and get sucked into the space. I have no idea what the set list was but it was intense stuff. They for sure played at least one song from Gentle Path Highway. Anyway, it was an amazing festival and I hope that we don't have to wait another 10 years for Sweden's third Space Rock festival ever.